Yes, as you said I set 640x480 Full Screen with ff7config.exe. Almost OK in playing FF7. Now I used MOD characters as I used to in Windows 7; I got WHITEened Cloud !! Chibi characters were shown correctly using original char.lgp, but relplacing it with modified one including high quality Cloud, Cloud was plotted as white one but his buster sword plotted good (even Aerith had no face!! Oh my.). Is there any clue to fix this ?In addition, I would like to use Avalanche MOD, Avalanche GUI v2.0.8.exe to get smooth text, how can I get MOD worked ? alot of the mods made in the past few years will take advantage of aali's driver.. you NEED it for avalanche mods. any mod that uses external textures in <modpath> will need aali's driver. there is no reason to not use aali's driver . if you have issues w/ aali's driver be sure that you have installed the proper video drivers from your cards vendor . DO NOT install video drivers thru windows update or allow windows to install your video driver as the ones provided by microsoft have crippled or completely broken OpenGL support. Yes, I used Aalli's Open GL after the installation with TOM's installer in W10. Maybe the OpenGL driver is not compatible with Windows 10? Delete your registry FFVII entry and your Final Fantasy VII folder before you use the new version. Version 1.3.4 is broken pretty bad so don't use it if you have that one. Thank you for your suggestion. I used your latest installer 1.4.2 and got the results posted. I finally figured out how to activate Aali's OpenGLdriver in Windows 10 64bit. 1. 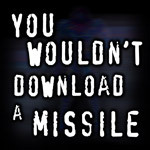 Install the game with your installar. 2. Replace ff7config.exe by Aali's OpenGL v0.7.11b file. 3. Now extract Aali's OpenGL v0.8.1b to the game directory. 4. Double click Aali's ff7_opengl.reg file to make the game recognize it. 5. Open ff7config.exe to set renderer to "custom driver" on graphic tab. Aali's Custom Graphic Driver v0.8.1b WORKED in Windows 10, but need old ff7config.exe to set it. Whitened Cloud and faceless Aerith were displayed correctly with Aali's driver effective ! Aali is a tough one to get in touch with. He's always around, but never really talks to anyone. The main problem with adding support for Aali's mod is I don't know how it works! I haven't ever used it because the computer I play ff7 on can't run OpenGL so I'm not familiar with it. What can be done now is to add another component for Aali's mod through Installer Coordinator but that might cause other issues in the installer if it is not done properly. Oh what a update to Windows 10 Pro 64bit !! Just after moving w7 to w10, I got good result in playing FF7 with Aali's Custom Graphic Driver0.8.1b as I reported. Now w10 got 1511 build automatically as well as KB3122947 and KB3116900 to it and everything went BAD! FF7 won't start any longer. Need help. I haven't ever used it because the computer I play ff7 on can't run OpenGL. What kind of video card do you have that can't run openGL? sith the computer that I use for ff7 is my laptop which has a crappy card . Older Intel cards 3000 series and before do not run OPEN GL. Leaving your OS un-updated is a security disaster waiting to happen. I can understand not wanting to move from windows 7 or 8 to Windows 10, but minor updates within the same major Windows version are highly recommended. I regretted this update w7 to w10. But there is always wise guy, and I hope he will do the good job to run FF7 in Windows 10 Build 1511. I'm running the latest version of Windows 10; FF7 runs fine. So whatever the problem is, I wouldn't assume it's anything to do with W10 updates. I'd suggest making sure you have a sound driver selected; if you don't (and upgrading your sound drivers could have caused FF7 to lose the selected output device) FF7 won't start. Are you still having issues, have you tried re installing it? I investigated the setting for FF7, i.e. running ff7config.exe. And found the mistake on "sound" tab that shown "blank" in Sound Driver drop-down menu, which seemed to be changed when the update for W10 build 1511 came. OK, setting Sound Driver to "RealTek High Definition Audio", now FF7 started !! No problem found in the game, that is good as before the update. With the current version, I can't seem to install to any non-default directory. Does it not let you select a directory outside of Program Files or does it fail when you select one? ok I'm sorry if it was already explained and I didn't read everything. I don't understand so hopefully you know what I'm doing wrong. Thanks for your time hope you have the answers I seek. Could this be because I'm trying to install to a non default location for modding with 7th heaven? It says don't use program files or program files x86 or users but I get this error trying my own choices. Get to the end and i get this error, not sure what im doing wrong but here it is, System.NullReferenceException: Object reference not set to an instance of an object. and this is not all of them, can anyone help me and thank you for your time, regards.